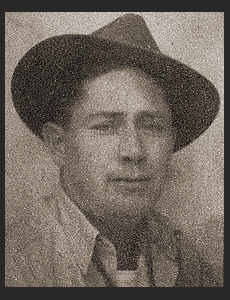 CM 3/c Varrell J. Doze son Alva C. Doze, attended Frederick High School; husband of the former Juanita Wood. Entered the Navy in April, 1944, trained in San Diego, Cal; served in S.W. Pacific; was honorably discharged in Nov, 1945. Awarded Asiatic Pacific Ribbon, Philippine Lib. Ribbon with one Battle Star.